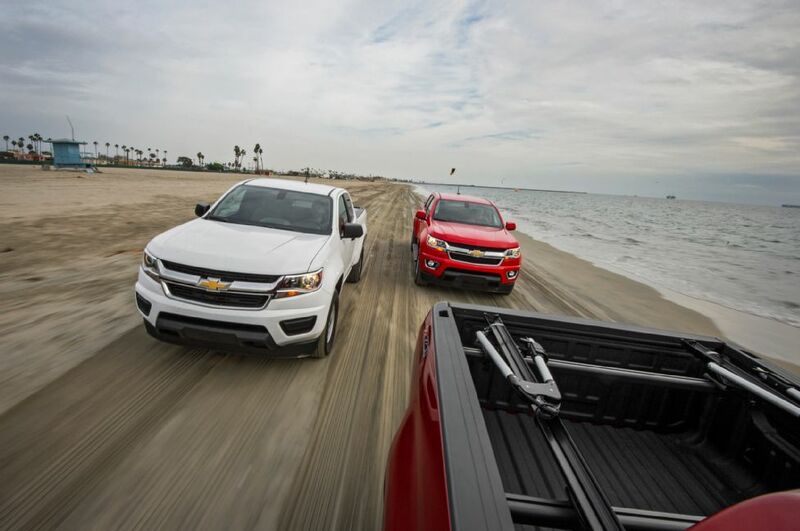 Recognized for its best-in-class efficiency and power, ingenious technology, and advanced safety features, Chevy Colorado has been awarded Motor Trend’s 2015 Truck of the Year®. Since 1979, Motor Trend’s Truck of the Year® award has gone to the best new or significantly redesigned pickup truck each year. Chevrolet has received the award an industry-leading eight times, most recently in 2011 for the Silverado HD. With Colorado, Chevy has reinvented the midsize pickup. The 3.6L V6 engine provides best-in-class 305 horsepower while also delivering best-in-class fuel economy with an EPA-estimated 26 MPG highway†. Because a truck is more than just what’s under the hood, the refined and quiet interior of the Colorado offers the comfort of a sedan with the utility of a truck, and an available high-speed 4G LTE Wi-Fi† connection turns the truck into the ultimate hot spot. Safety is also key, and Colorado offers the most advanced safety package of any midsize truck with available Forward Collision Alert† and Lane Departure Warning. Add in a starting price of $20,995 and it’s easy to see why Motor Trend’s 2015 Truck of the Year® is the all-new Chevy Colorado.